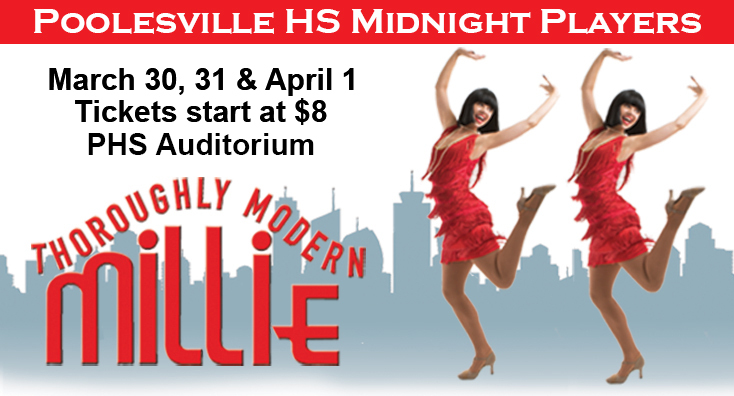 The Midnight Players is the theatre club at Poolesville High. This musical is about Millie Dillmount, your average 1920’s girl who’s ready to take life by the horns in New York City. Tickets on sale now.